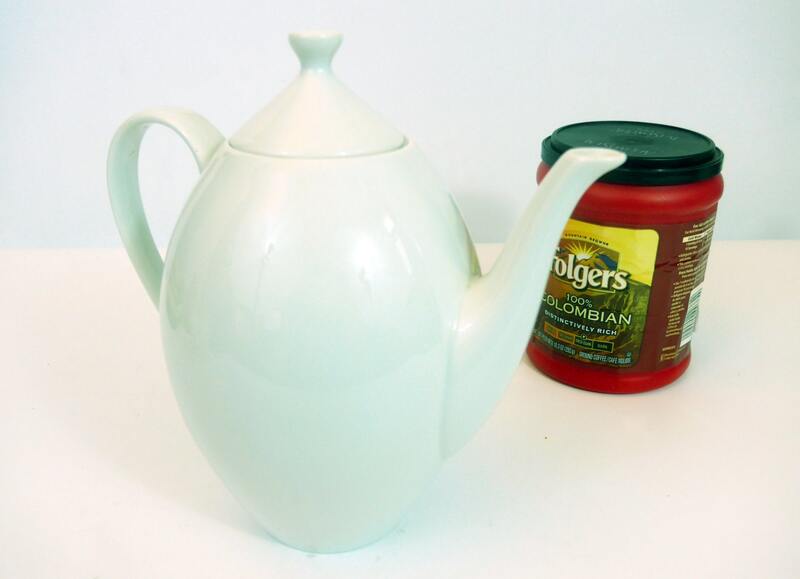 Vintage white china coffee pot by Argberg, a German company that made this porcelain coffee pot in the mid century. 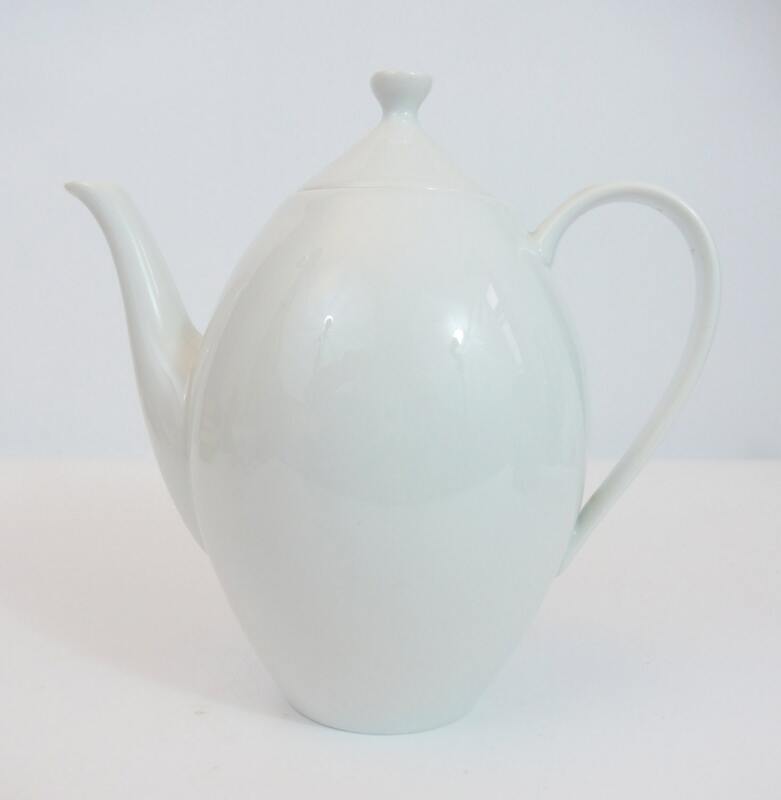 A very mod style with a curved handle and a distinctive knob on the lid on this oval shaped coffee pot. Marked on the bottom Arzberg and the numbers 443 in green - see photo. 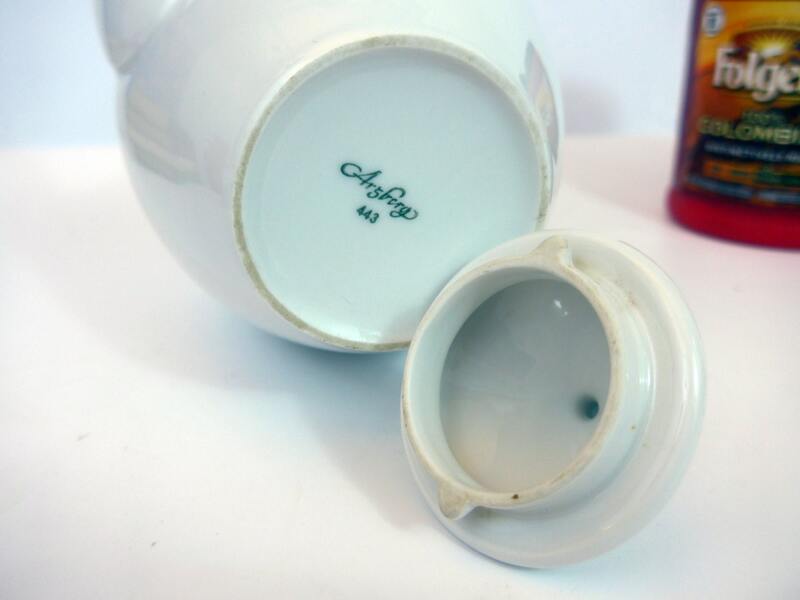 Height is about 8 1/4" high to the top of the knob on the lid. 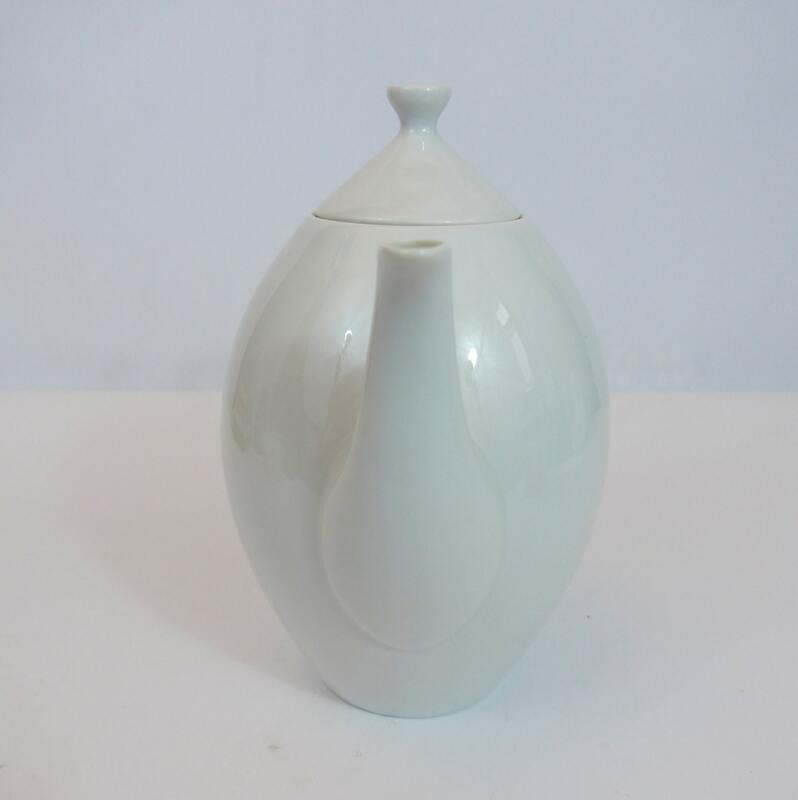 Without the lid, the pot alone stands 6 3/4" tall. About 8" wide (across) from end of handle to tip of spout. 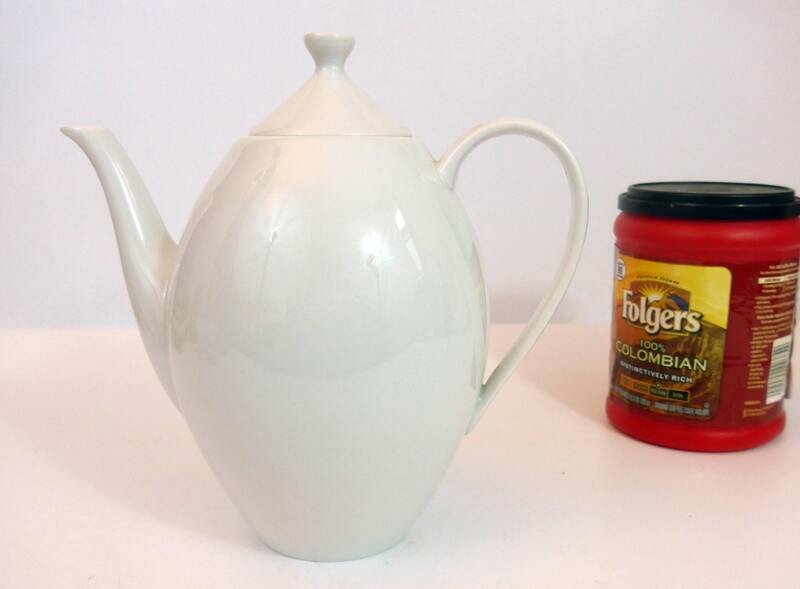 The body of the teapot is about 4 1/2" in diameter in the middle where it is the widest. In good vintage condition with no chips or cracks. Light wear on bottom and on underside of lid as would be expected an item from the mid century.